Jack Canfield, Co-author of The Chicken Soup for the Soul’ series. ‘refreshingly DeVrye has heard enough of the same over the top hype herself to tackle the issue in her book. ‘This is a very inviting book. 10/10! Hot Lemon and Honey is a great book. It’s designed as 52 quick chapters, each starting and ending with a quote or saying Catherine said she wrote the book in that manner so that people could absorb just one chapter, one concept every week. But most of the feedback she has received is that people read it cover to cover and then keep it at hand for ‘instant motivational recharges’ – like myself. Although the book was written with the employee and employer in mind, it is applicable to everyone. Inspirational. ‘When Catherine DeVrye decided to write her latest book Hot Lemon and Honey she was aiming for the perfect combination of sound business advice and uplifting personal messages. Drawing on her years of experience as an international speaker and businesswoman, Catherine knows the key to tapping into an audience is to challenge, entertain and leave them with a good message. In Hot Lemon and Honey, she proves that a book can do the same job. I believe that everyone will benefit from a daily dose. ‘ that amongst the rather disturbing aspects of contemporary society and the rush to rationalise the corporate world, Catherine’s books still remind us of some of the more traditional and positive societal attitudes, like commonsense, kindness and caring. 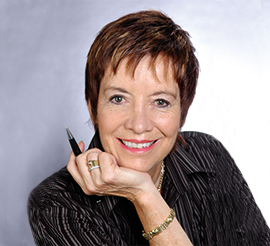 ‘Catherine DeVrye, customer service motivational speaker and author, believes business success and fitness go hand in hand. Her latest book discusses these issues, blending business advice with motivation by example. The chunky paperback contains 52 chapters, each headed by a quote, providing a 10-minute read for every week of the year in the form of bites of wisdom to motivate employers and employees. Like a pack of Tim Tams at a hormonal time of month, I couldn’t get enough and finished the entire pack-or in this case the book! I did manage to grad a few free moments during the Christmas break and I got so absorbed I read it in one foul swoop! I thought as you suggested that to read a chapter a week would be a good idea, but so much for that. It’s a magical book. Both thought provoking and entertaining. ‘It is truly an outstanding publication.I particularly liked the way you included references to other writers who have had something to offer along the path of personal enlightenment. You inspired me to make a list of health aims. it conveyed something that is very useful for my own life at the moment. ‘Congratulations on your new book. You are definitely onto a winning formula. I have bought books on quotations before as they appeal to me but your idea of discussing them and including interesting stories only makes them more appealing in ways we can all relate to. ‘As I sit at the table after dinner drinking my Tetley’s Lemon and Honey t-bag drink, I couldn’t think of a better time to drop you a line-great book! ‘I am enjoying “Hot Lemon & Honey”. I linked a recent experience with some of your thoughts and have emailed to mining industry colleagues worldwide. ‘What I like about the book is it’s simple style and it’s friendly disposition. It’s one of those things you can’t fake in writing. Many of these types of books tend to be very cold and clinical and tell you how to achieve rather than invite you to do so. ‘I received the book and am half way through it (two or three chapters a night). I’m always jealous of people who tell us stuff that we all knew but never think about. And I hate people who can convey plain common sense in a simple way. I thought that your two books would be an excellent theme for my Thinking Health Bulletin. Attached is my next proposed article, which I would like you to read first to make sure that it is OK with you. Ten days ago at Inverloch, I started reading THE book and literally didn’t put it down until the end. Congratulations on a fine work. It is stimulating, sensible and humorous, all in all, a great read. enjoyed the personal references, which somehow add a touch of everyday reality and common sense. The business content is always at the core and I certainly picked up a few pointers, which will help our business improve. thoroughly enjoying your book. I’m tending to take the slow option that you have suggested – ie reading one chapter per night so it’s taking me a while. It’s funny – as I’m feeling so snowed under at the moment as I take on a new job (which starts on Monday) I read your book and it is just the support I need – such as we never have enough time in our days to get through everything and finish our ‘to do’ lists etc etc. It’s nice to know that others feel the same as me! The title and cover design are excellent. These arouse curiosity and are likely to tempt the browser to pick it up to see what it is about. In fact that was a chance visitor having a cuppa did. She saw it on our dining table, picked it up and started checking it out chapter by chapter. Her associate, my nephew, my wife and I were left to carry on the conversation. A good indicator because she is an intelligent business consultant. have only read it once and I shall take more time on it on my second read. Reading a book a second time is like watching a film a second time. It is amazing how much you miss first time around. so full of wisdom and insight. I congratulate you on your achievement. ‘I have to say your book “Hot Lemon and Honey” is beside my bed and I am enjoying it very much. I tend to dip in and out of it, have a think, a re-read, and then put it away for a couple of days. I have ordered more copies to send to my daughter, best girl friend and my sister! I have lent out your books to some junior sales people I’m looking after here. My kids love it too. Absolutely fascinating. In fact one would know everything you tell us in such an easy and explicit way, but we are so stupid and always forget about the simplest things of life: To live today and be grateful about every second of the day. Thank you for reminding us again and again! I read a lot of motivation and positive thinking books and I picked yours at the library. When I got it home I thought I had made a mistake because it was work related. Not only was it very helpful from that point of view but also on a personal level too. I just thought I would write to thank you for your book and thoughts of encouragement. I admire persons like yourself and hope one day to be able to help others also just maybe not in the same way as you. Not sure if this email will ever find you however…I attended a presentation by yourself and whilst there received Hot Lemon and Honey. I am not a reader, not through lack of education however through other priorities. I was sitting in an aeroplane 2 weeks ago about to land and we were then informed we had to hold and wait as a runway at Sydney has been closed. “oh crap” was my initial response however after sifting through my backpack I picked up your book. Please don’t get me wrong I enjoyed your presentation however as I usually do I judged the book by it’s cover “Hot Lemon and Honey” and immediately the wrong thoughts conjured in my mind. Yes I know that you had told us that a lady gave you these when you were sick and therefore I knew where the name of the book had come from but…….. Anyway I started reading the book in my ideal bite size chunks and much to my amazement I have now finished. I didn’t read it over the 52 weeks primarily for the fact I wanted to read! WOW! Anyway I wanted to say thank you for playing a part in my life from afar. It looks splendid and I have found the sections I’ve read so far both illuminating and fascinating. I recently spoke with you at your book signing at Dymocks. I was the ‘Quantity Surveyor’ on my lunch break where I purchased your inspirational and calming book ‘Hot Lemon & Honey’. I would like to say thank you for the book as it is a source of comfort and puts a hard and sometimes annoying work day into perspective. Thank you again for your book and the insight and wisdom contained within. I am writing to you by your first name because I almost feel as if I have known you for a long time – that is after I have just read your sweet hot-lemon-and-tea book. Congratulations – not the first and I sincerely hope not the last that you are to receive on it! What worries me though is that in Bulgaria (this is where I am from) your book has just come out -that is 5 years after its first publication. Still on the web site of the book I didn’t find a second book having something to do with hot lemon and tea which made me feel I am not too late! ‘Congratulations on an inspiring book! As the Practice Manager of a medical practice in a small town, your advice is a relevant for me (and my colleagues) now as it was when I worked for an Multinational Pharmaceutical Company as a Sales Representative! ‘Thank you for writing this wonderful book, Hot Lemon & Honey-how simple in a fashion life should be. Congratulations on all you are doing to improve others; lives. Thanks for the e-book – it is a great read. We have great feedback/stats on your earlier SmallBiz Book Club presentation. ‘Over the years your books have been a source of inspiration and help to me and brought me a tremendous amount of success on the job.’. ‘I bought my Colombian au pair your book “Hot Lemon & Honey” for her plane ride back home. She wrote and told me how much your book inspired her to change her life when she returned home’.